Semiology of graphicsBertin, Jacques; University of Wisconsin Press 1983WorldCat•LibraryThing•Google Books•BookFinder A translation of Bertin's famous work that was first published in 1967. A look inside this book is enough to realize that, half a century before, Bertin already had got a solution. 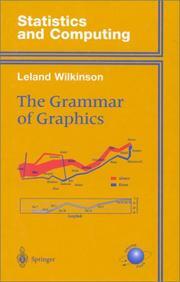 The grammar of graphicsLeland Wilkinson; Springer 1999WorldCat•LibraryThing•Google Books•BookFinder I never thought I would be so difficult to draw a pie chart! This book is the theoretical reference on statistical graphics automation that inspired ggplot2 and several visualization software libraries. John Napier invented logarithms in 1614. Some years later, maybe in 1620 Edmun Gunter built the first logarithmic scale but it was Wingate three centuries later the first to describe with the book its existence and usability. The following template designs for tiles & mosaics have been redrawn from M. Travaglia’s book (1913).